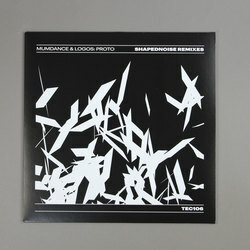 Mumdance / Logos - Shapednoise Remixes. Vinyl 12. Bleep. Proto, the 2015 LP made by Mumdance and Logos, begets another remix EP. After Perc & Truss went hammer and tongs at ‘Hall Of Mirrors’ and ‘Move Your Body’, now we find Shapednoise slithering in to switch up ‘Chaos Engine’ and ‘Cold’. In his hands both tracks fade into deep fog, turning into the sort of industrial ambiences that makes one think of Slender Man. The ‘Shatter Mix’ of ‘Cold’ is particularly spine-chilling. 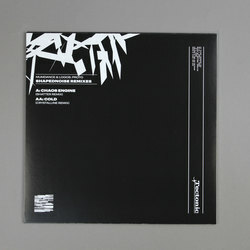 Great stuff from Shapednoise, and out on Tectonic.